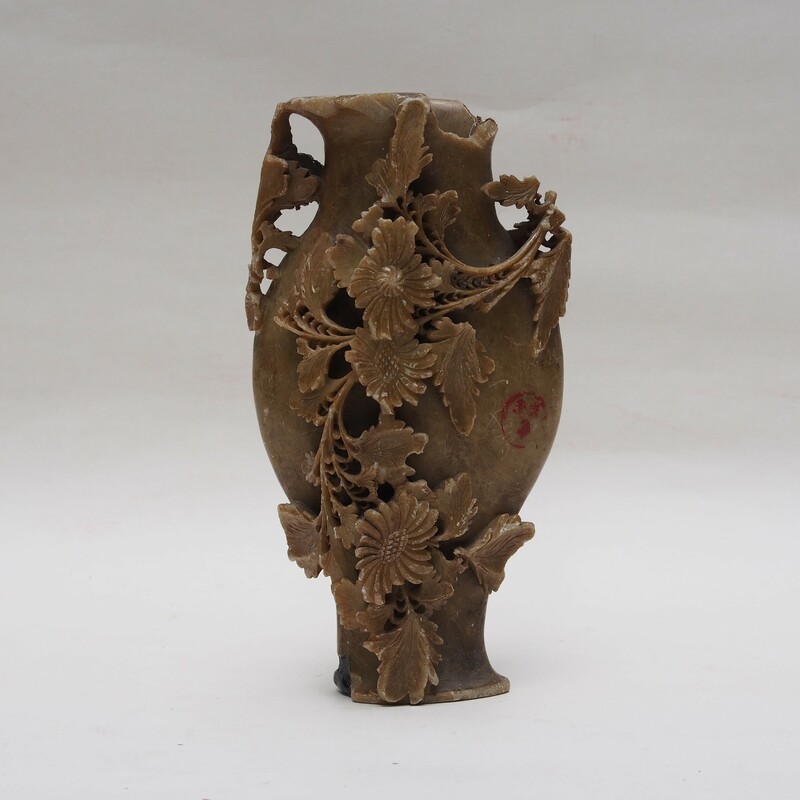 This is a miniature Shou Shan stone vase which has intricate carving of a chrysanthemum flower. The Shou Shan stone is wonderful stone for carving, particularly for seals, its also a good material for other ornamental works. This antique piece of work with its chipping has a sense of rustic, of the untended nature.